See why MaaS360 was once again named an industry leader. Forrester evaluates mobile management strategies and the various ways they’re expected to change leading into 2020. IBM a 2018 Forrester Wave Leader for Unified Endpoint Management. 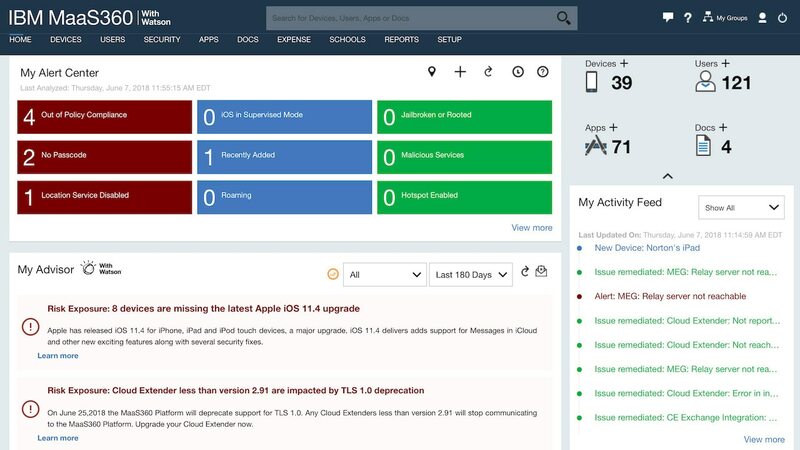 Follow these best practices for provisioning, managing, and securing all devices across your enterprise. Establish best practices for creating a secure bring-your-own-device environment in the workplace. What is a UEM solution - and what are best practices for a successful deployment? Get the answers, read the eBook. Learn how MaaS360 UEM will help your organization meet its objectives with GDPR. Simplify migration to Microsoft Windows 10 with MaaS360 UEM. MaaS360 UEM leverages features built into Windows 10 and macOS, making it easy to roll out PCs and Macs quickly and simply. Increase security and productivity for ruggedized devices with MaaS360 UEM. Discover how MaaS360 UEM can be used to manage and secure Android devices in the enterprise.